The Fraunhofer Institute for Machine Tools and Forming Technology, (Fraunhofer IWU) in Chemnitz, Germany, has developed the first prototype of its **** Extrusion Additive Manufacturing (SEAM) system for high-speed FFF/FDM 3D printing. The SEAM system, which will be unveiled at Germany’s Hannover Messe 2019 trade fair in April, is a hybrid machine integrating machine tool technology with additive manufacturing. 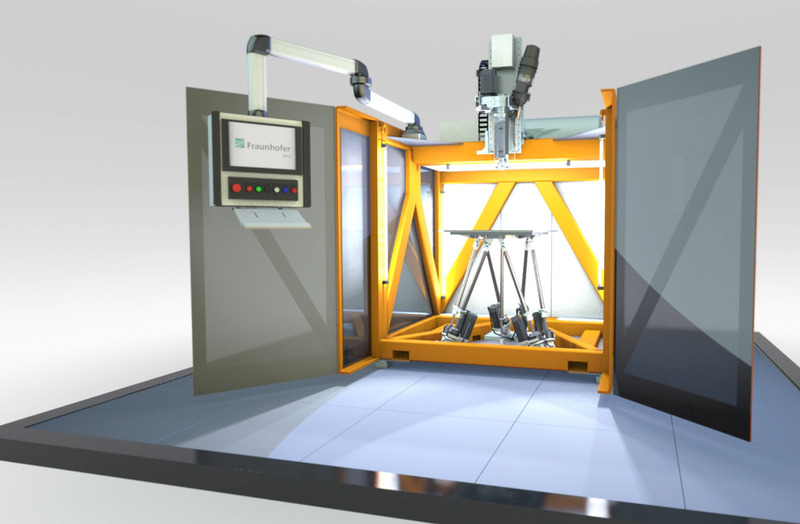 According to Dr. Martin Kausch, Head of Department STEX – Systems and Technologies for Textile Structures, this 3D printer is equipped with a construction platform capable of swiveling in six axes. Above is the **** extruder designed to melt and eject plastics at a high output rate. The SEAM 3D printer. Image via Fraunhofer IWU. In 2017, Fraunhofer IWU entered into a partnership with Italian machine center makers CMS to research and develop a new hybrid CNC milling 3D printer. This collaboration is seeking to address the slow 3D printing speed of FFF for the mass-production of components, particularly, within the automotive industry. This birthed the concept of the 3D Kreator system, designed to operate beyond standard XYZ directional 3D printers. Using the SEAM system, this 3D printer was built with tool paths across 5 axes, providing more geometrical freedom to FFF.